Add ghee into a saucepan. 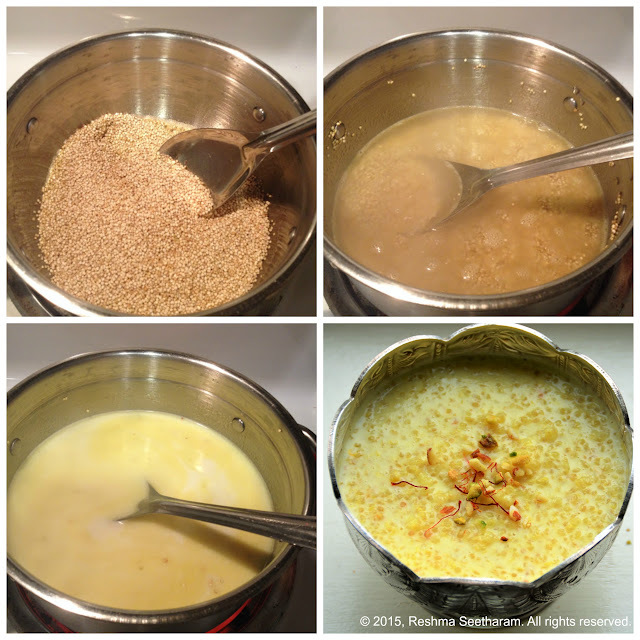 On medium heat, when the ghee meagerly starts to shimmer, add quinoa; roast it in ghee until light brown. Add water and bring to a boil. 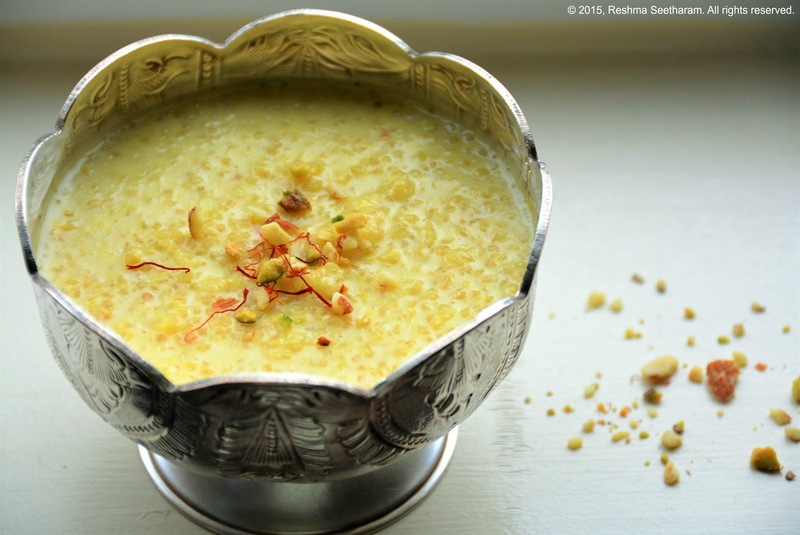 Once it is half cooked, add in 2 cups milk and saffron strands. Bring it to a boil on medium-high heat for about 7 to 10 minutes. When the quinoa is cooked through, add sugar and cardamom powder. Stir well and cook until all the sugar dissolves. Add the condensed milk. Let it continue to simmer for 5 minutes. Turn off the heat. It can be served warm or chilled. Many prefer it chilled for a couple of hours. The consistency is also of choice, some like it gooey, and some like it runny. Adding more milk will yield a watery pudding. Enjoy!